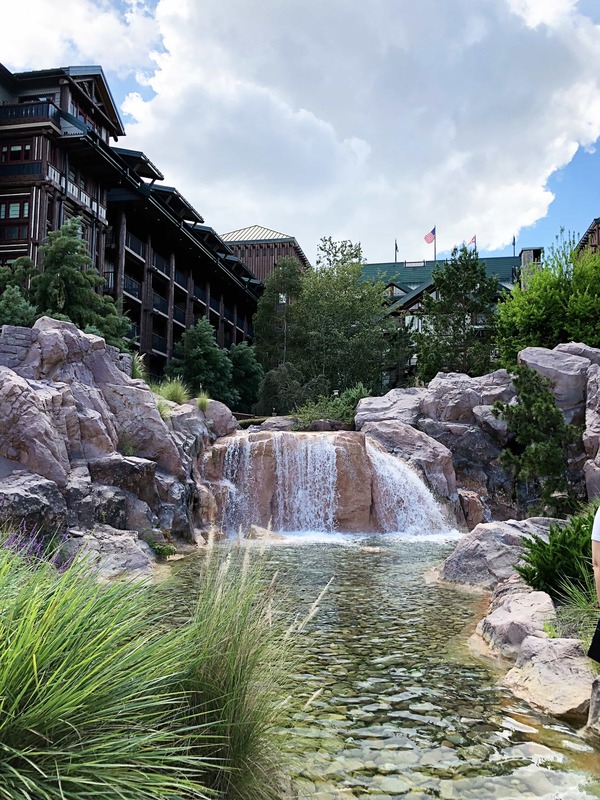 We have loved our stays at Disney’s Wilderness Lodge so much that we’ve visited three times in four years! Wilderness Lodge is also home to two villa type resorts – Boulder Ridge and Copper Creek – featuring everything from studios up through 3-bedroom grand villas and lake front cabins. 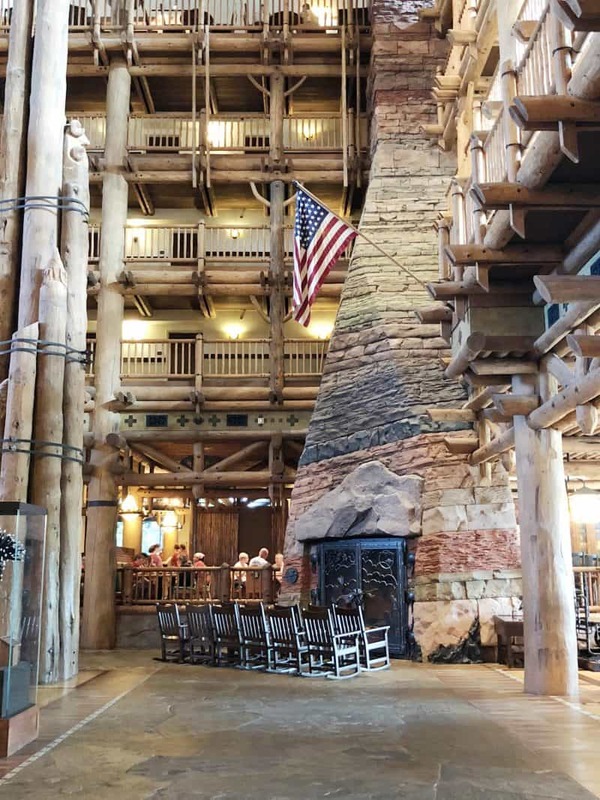 Wilderness Lodge is an escape to the rustic majesty of America’s Great Northwest, and is inspired by turn-of-the-century National Park lodges. Like everything Disney, the attention to detail here is awe inspiring. Inside the lobby, you will find soaring ceilings in the American craftsman style. 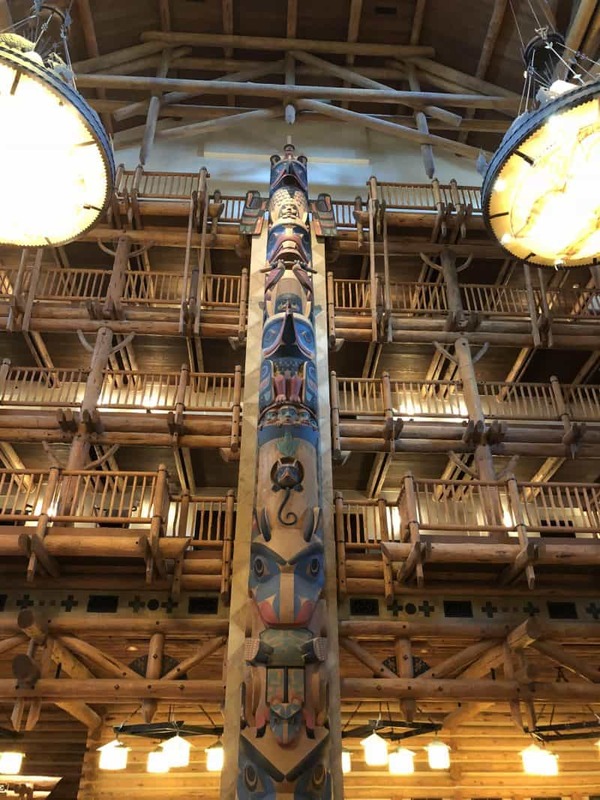 There are totem poles, numerous sofas and rocking chairs, a stately fireplace and more!! You can even see the bubbling spring that flows all the way into the pool!!! I highly recommend the complimentary architectural walking tour, as I learned so much about both the inspiration and construction of Wilderness Lodge. 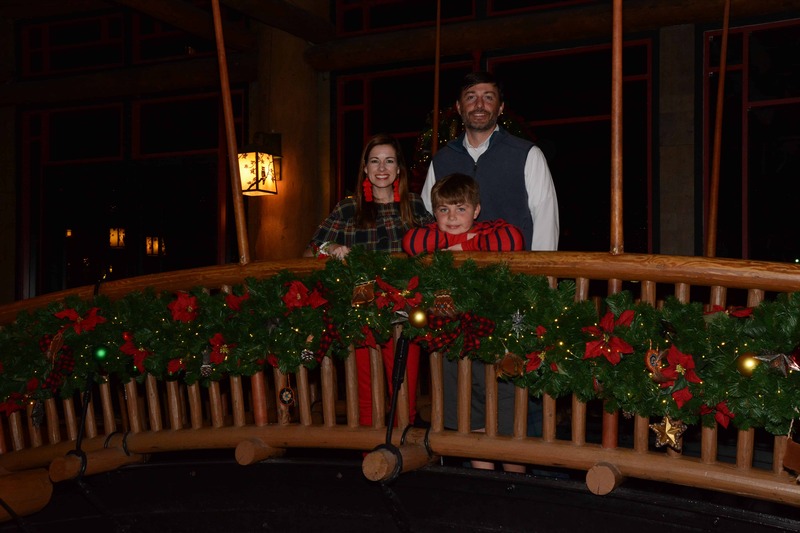 Christmas at Wilderness Lodge really cannot be beat. The resort just exudes Christmas spirit and is even more dazzling with twinkle lights, garlands and trees at every turn! Be sure to look for the photographers around the lobby during the holidays! We had a woods view bunk bed room but were upgraded to pool view on arrival. 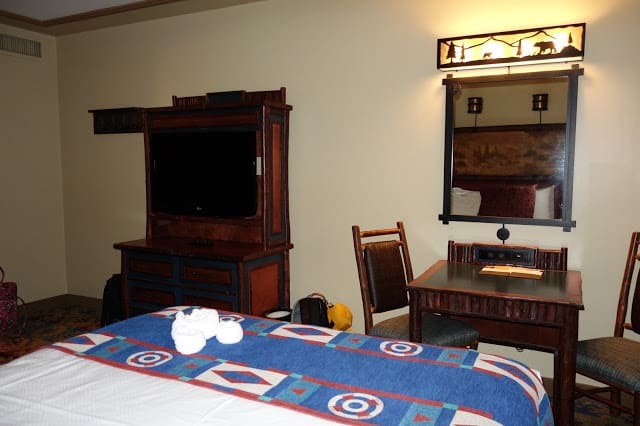 The room was plenty spacious for the four of us and we love the set up so that the littles don’t have to share a bed. We were on the sixth floor and our balcony is cut out of the roof in a way that didn’t allow a regular railing. Instead our balcony had a half wall. I will be honest and say I didn’t love this. If I were paying for a pool view (remember we had a free upgrade), I would definitely NOT want this floor. We did have a sweeping view and could see clear out to the lake beyond. However, since the wall was solid, it just encouraged the boys to climb up in the chairs to see over. Not safe and would have terrified me with littler kids. 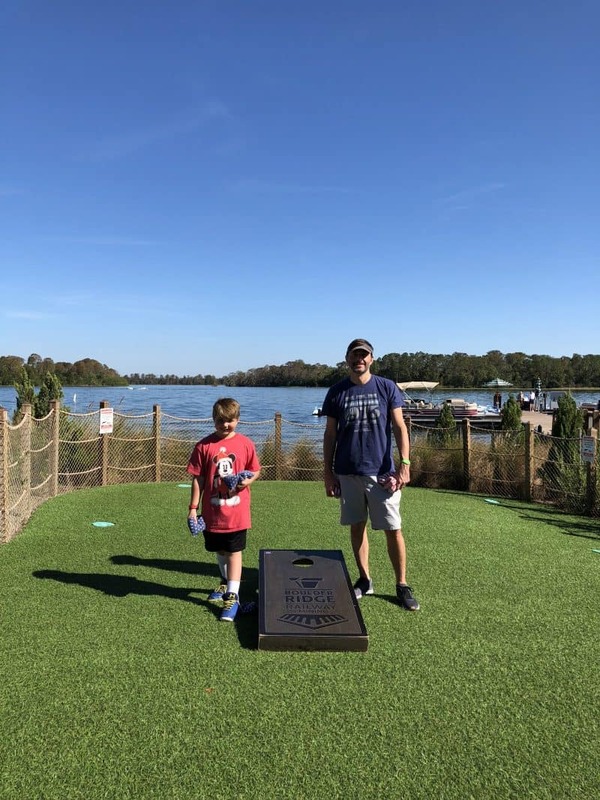 One of our favorite meals of our week long trip was the lazy afternoon we spent at the brand new Geyser Point! 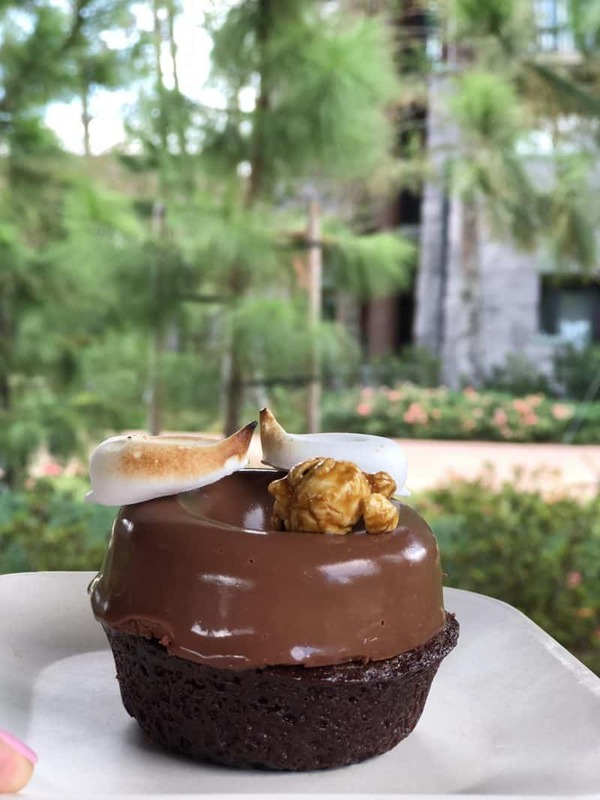 This location is on the quick serve dining plan and is a MUST if staying at Wilderness Lodge, or even Contemporary which is just a boat ride away. There is both covered and open seating and we have done – and enjoyed – both! The hostess does now keep a wait list and seat accordingly, which I much prefer over trying to stalk tables. The unique menu has everything from bison burgers with Tillamook cheddar and a house-smoked salmon BLT with lemon-caper mayonnaise to small plates, craft beers and signature cocktails. 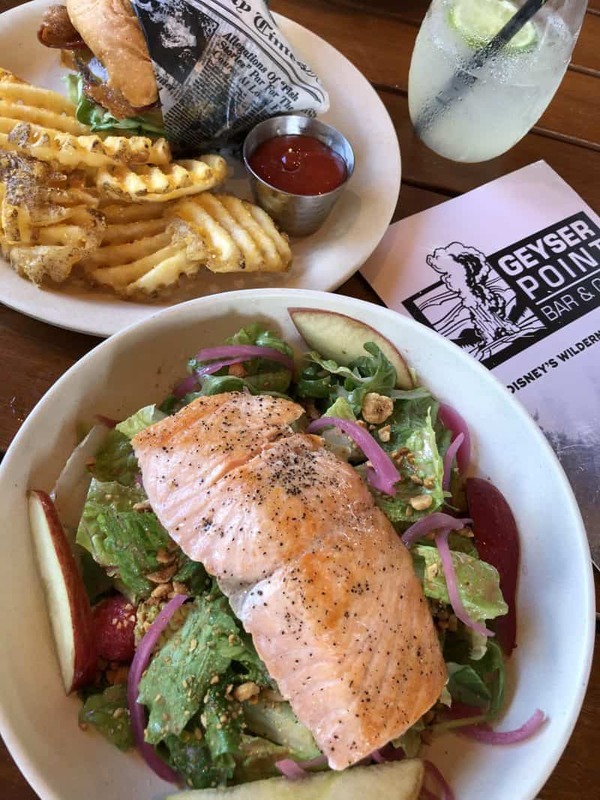 While everything we had was very good, I highly recommend just going for the delicious burger of the salad. :-) I also love their black cherry mule. 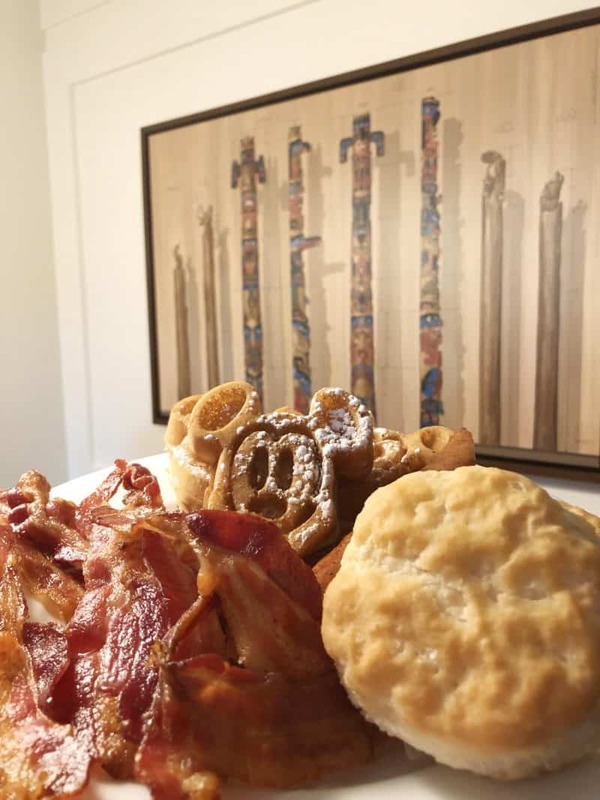 The hidden gem of Disney Signature Dining, Artist Point at Wilderness Lodge, reopened as a price fixe character dining experience in late December after much anticipation. The restaurant has been transformed into the Enchanted Forest, and it was just that… enchanting! 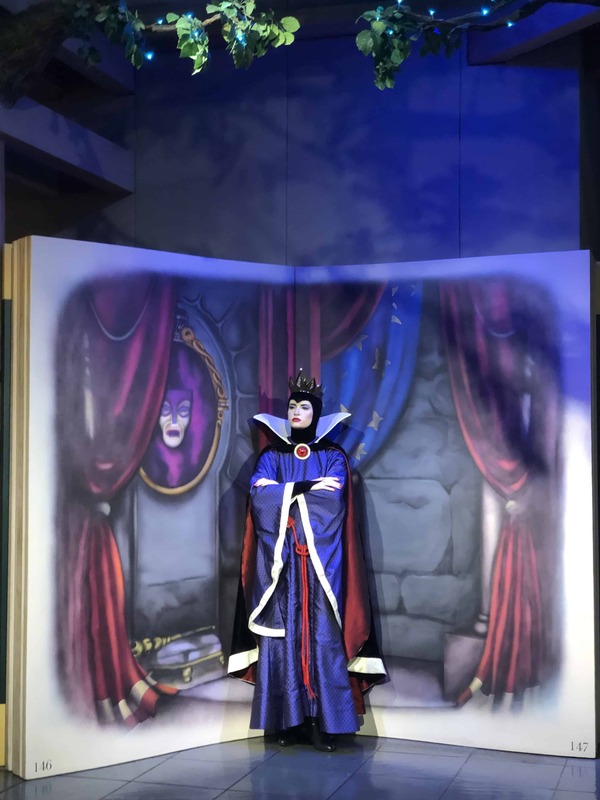 The meal was great, and you get to meet Snow White, Grumpy, Dopey and The Queen! 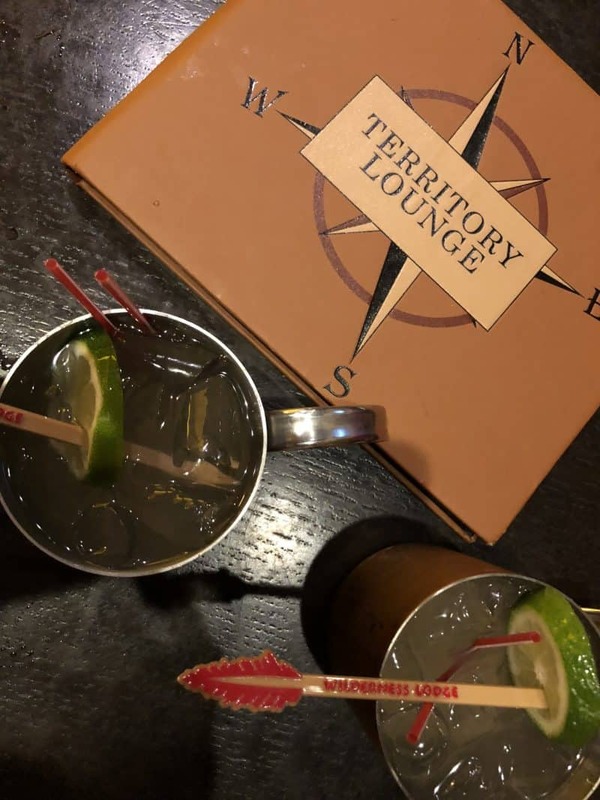 Territory Lounge has long been one of our favorite Disney lounges. 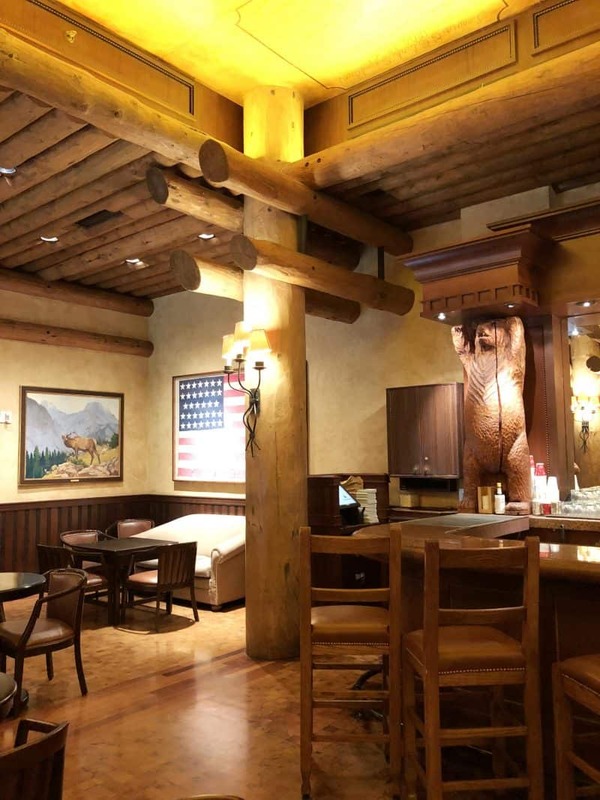 We love the warmth of the rustic lodge decor and often make a meal of the flatbreads, fondue, poutine and charcuterie in the evening! 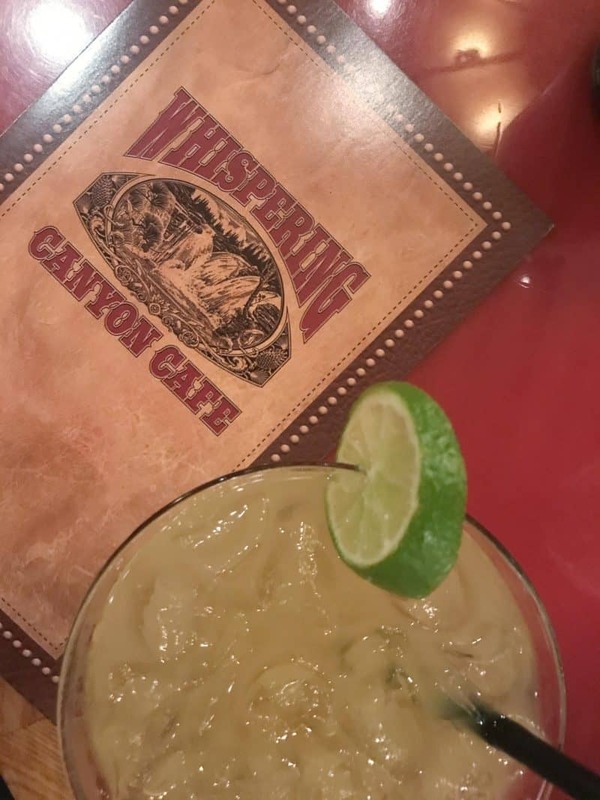 Whispering Canyon Cafe is another favorite! 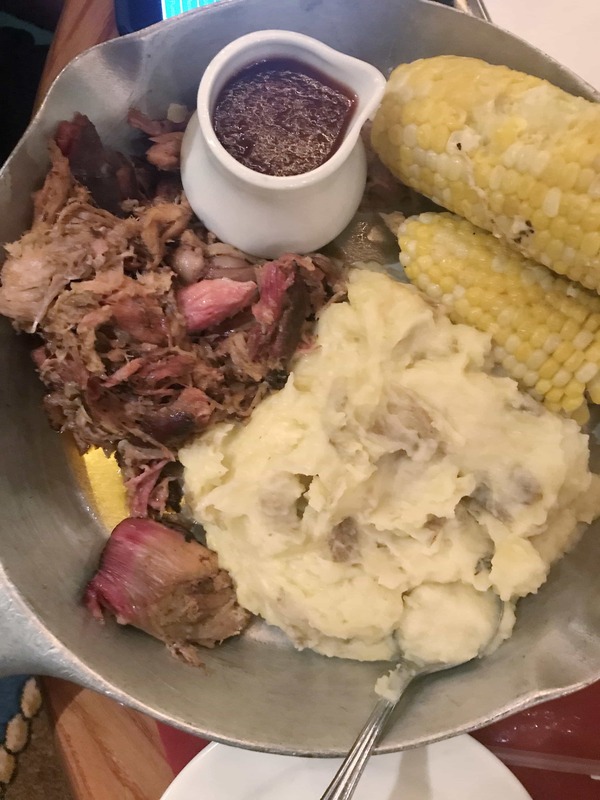 It is just a silly, fun meal with good comfort food. 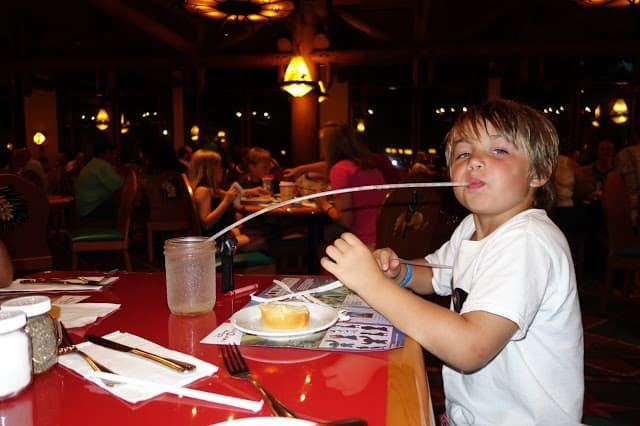 If you go, you must ask for straws and ketchup! 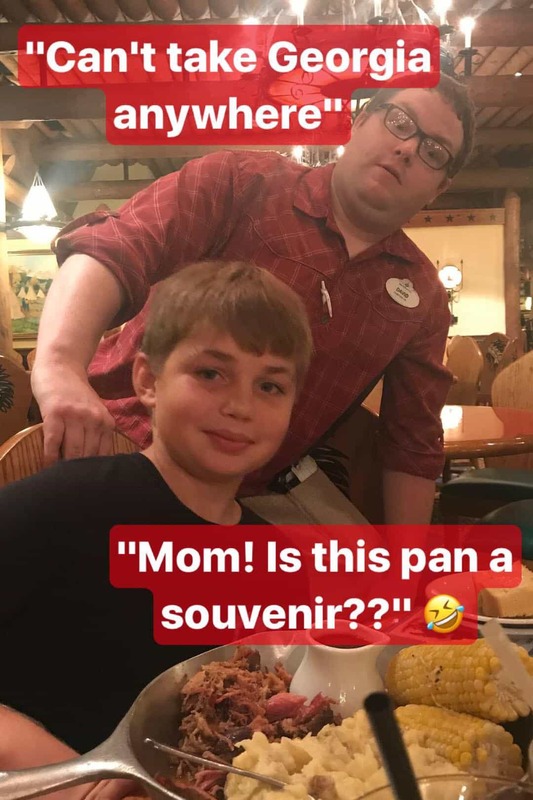 Whit went so far as to ask if the skillet was a souvenir. HAHA! It’s a great place for a group as well. 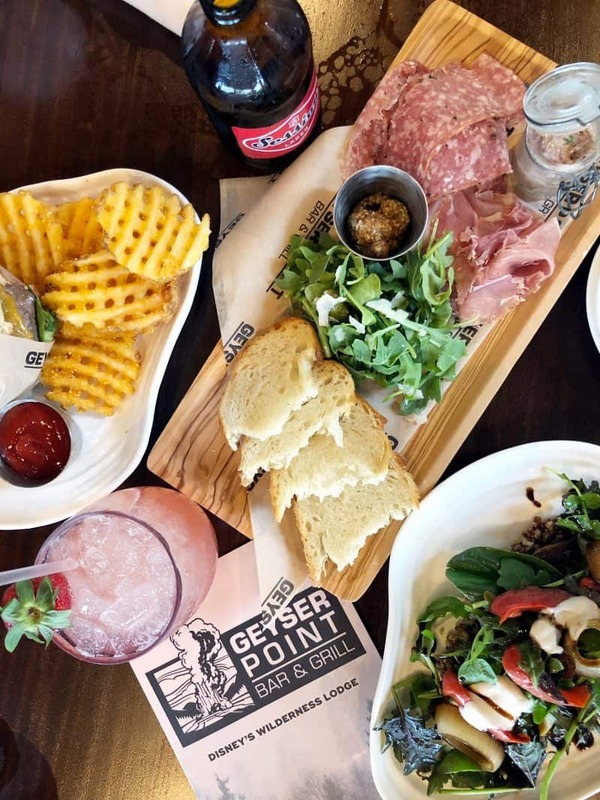 This updated quick-service restaurant serves Mickey waffles, specialty sandwiches and flatbreads, grilled chicken sandwiches, pulled pork and more. The dining area here is nothing special so we had our breakfast to go each morning and enjoyed it in our room! 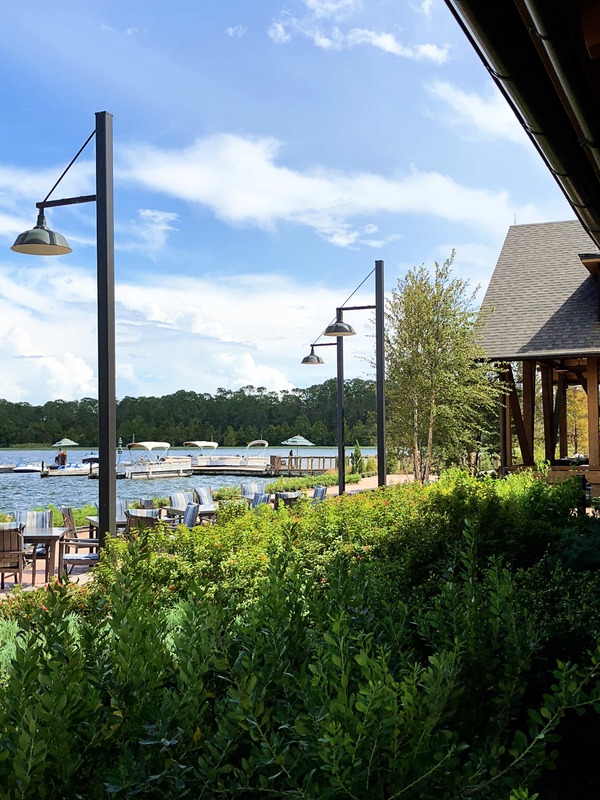 Just like for dining, guests staying at Copper Creek Villas & Cabins are steps away from all of the recreational opportunities at the nearby Disney’s Wilderness Lodge. This brand new, modern-day swimmin’ hole has a gorgeous backdrop and an excellent back story. Families with little ones will appreciate the zero entry pool. We loved the cabana type seating areas that are first come first serve. The feature pool is heated and surrounded by pine trees and boulders. My boys LOVE the waterslide built right into the rocks. 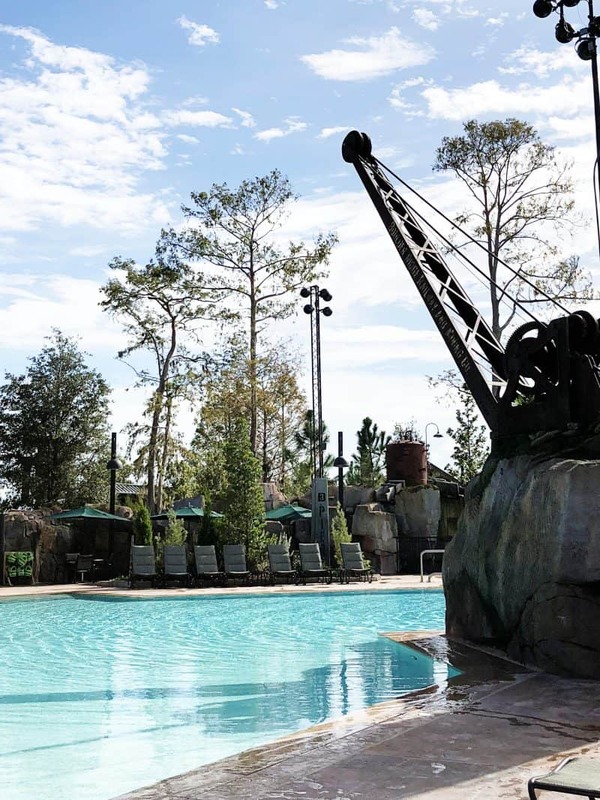 There is also a splash area connected to the pool. My kids also always love the afternoon pool parties with trivia, games, bingo and other challenges. We are a bit past this age now, but I fondly remember many early evenings spent on Disney playgrounds and spraygrounds. 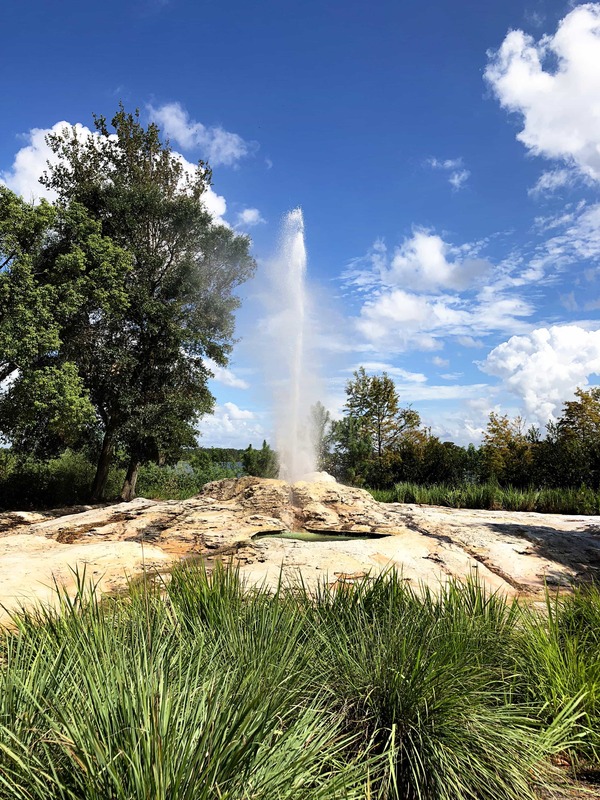 My kids LOVE the geyser the sounds off every hour! 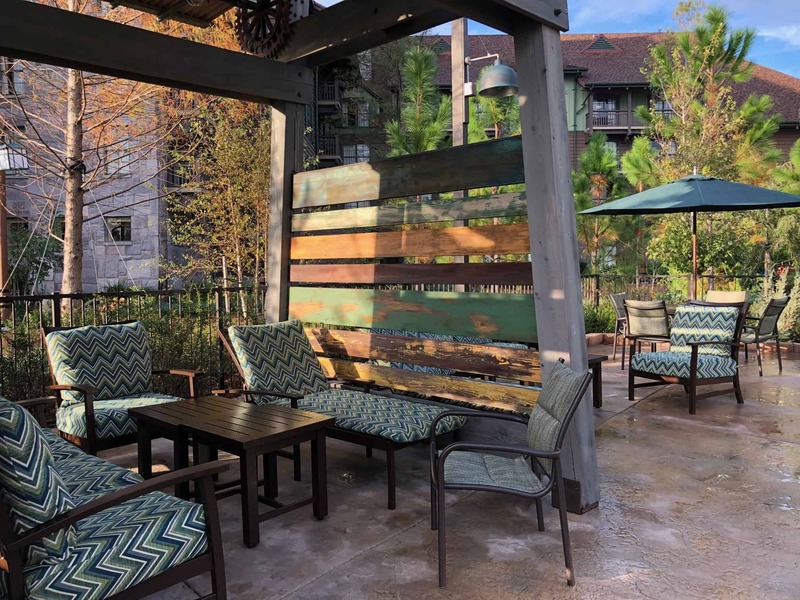 If you are familiar with Wilderness Lodge, the Trout Pass pool bar is now the Salon at the Springs! I treated myself to a manicure to check it out. For y’all, of course… :-) I must say that it was a lovely and luxurious experience and I highly recommend it. The salon is tiny and advance reservations are definitely needed. The salon does manis, pedis and hair. 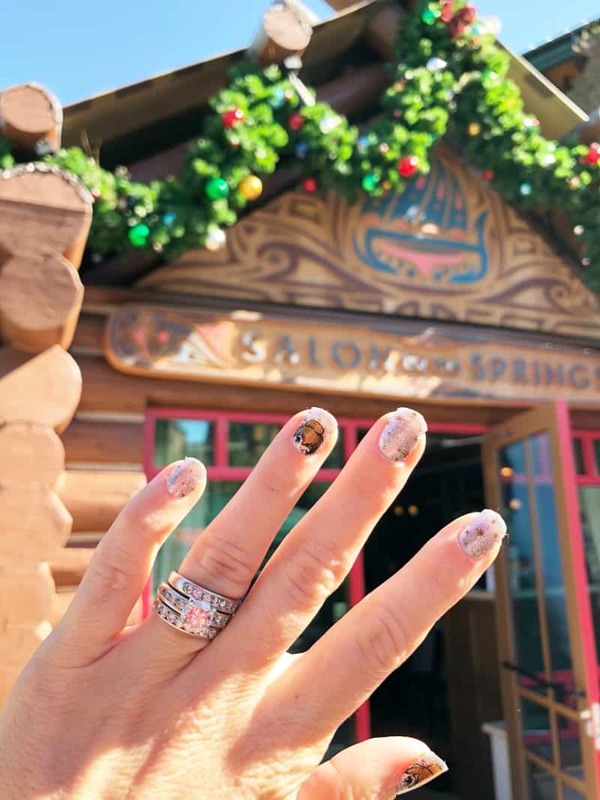 I did a manicure and then had them apply some festive Disney Jamberry nail wraps. I’ve really wanted to try them for a long time and had no confidence in my own ability to apply them. While they were super cute and I did enjoy having them, I wouldn’t do them again. I just use my fingers too much and they started snagging on everything after the first day. 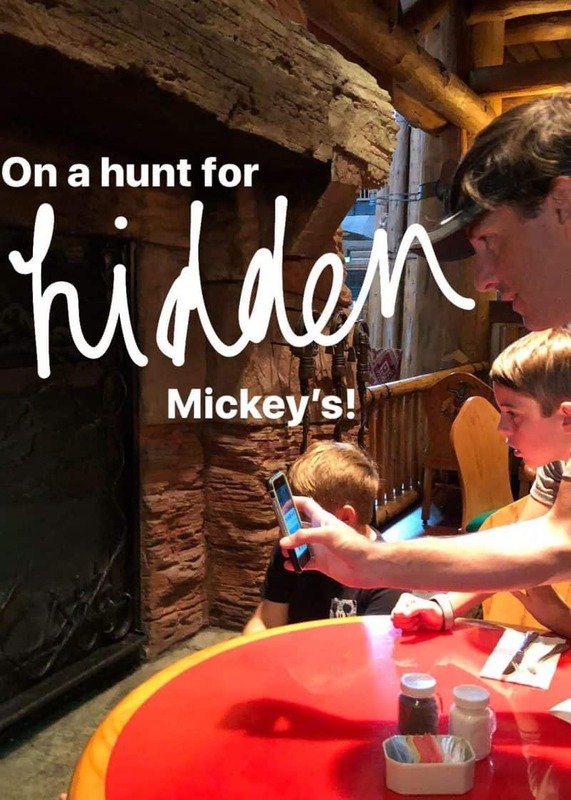 Be sure to pick up the hidden Mickey scavenger hunt at the front desk. 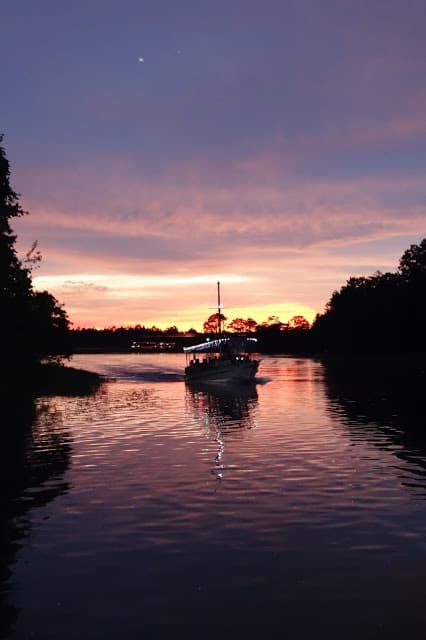 It is a great way to explore the resort! 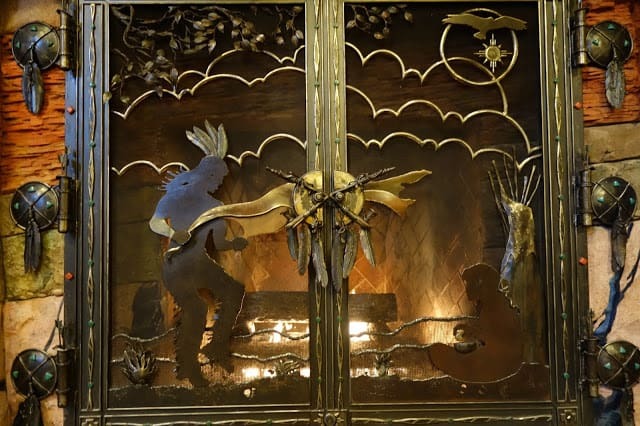 Another favorite feature of Wilderness Lode are the fireplace nooks. You will find these overlooking the lobby. Some of them simply had a couple of rocking chairs, and others (like this one), had fireplaces, sofas and chairs. We chilled here one night during a big storm and brought pizza up to enjoy our dinner in front of the fireplace. It was just lovely!! This particular one was on the fourth floor just over the main front doors of the lodge. 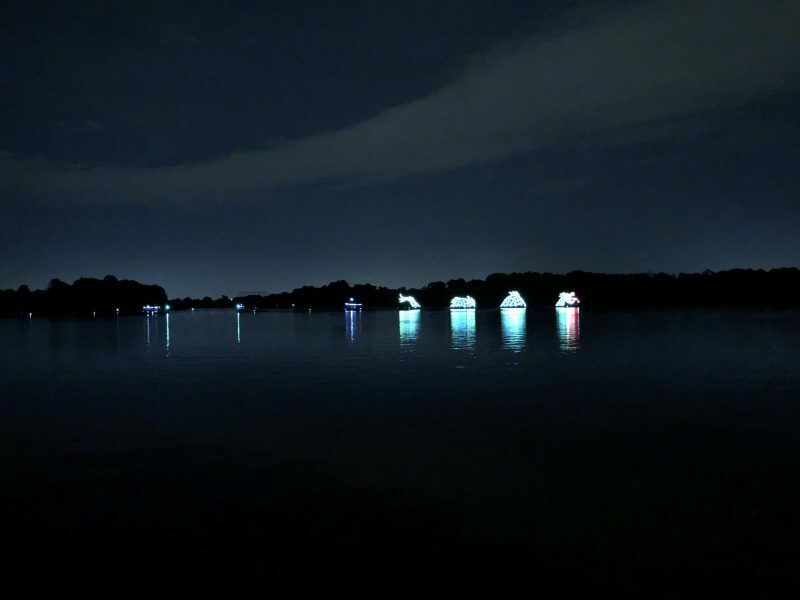 Each night, the Electric Water Pageant stops right at the Wilderness Lodge beach. Check the times guide during your stay. 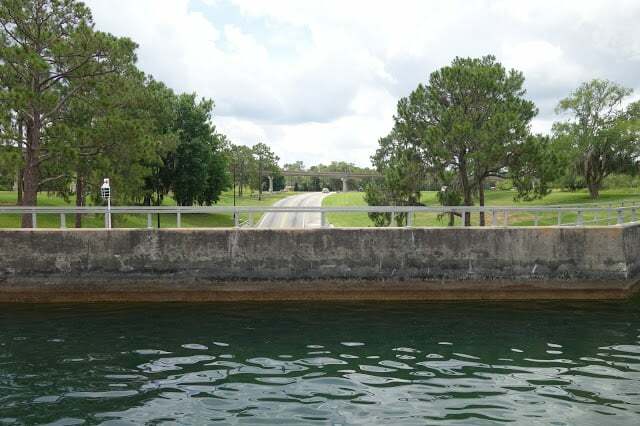 Cruise around Bay Lake aboard a variety of watercraft, include family pontoon boats. 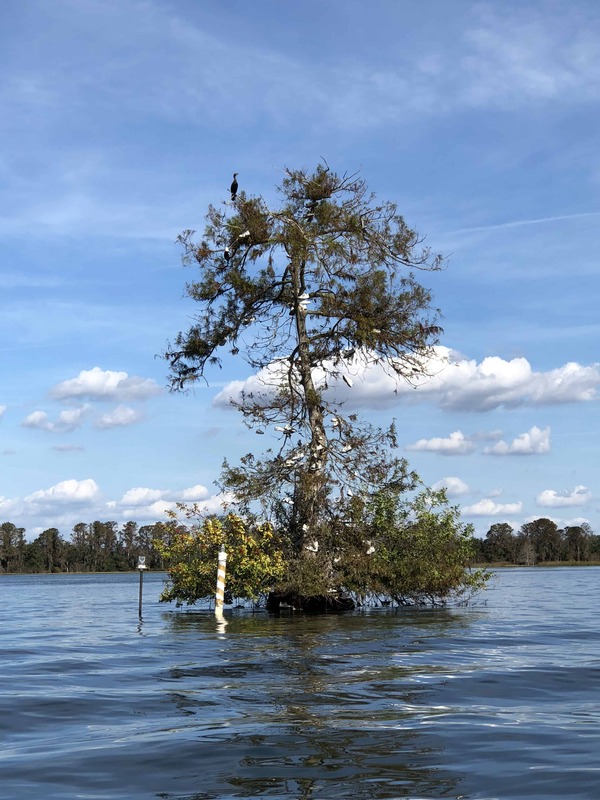 Land-lovers can steer bicycles and surrey bikes around the resort or down the trail to Disney’s Fort Wilderness Resort & Campground. 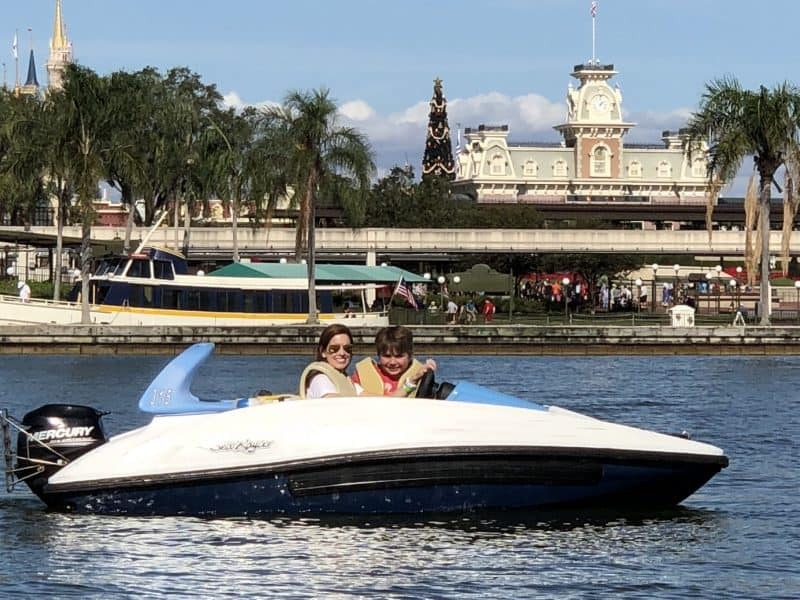 We rented Sea Raycers and had a fabulous 45 minutes tooling around Magic Kingdom, boating over the water bridge and checking out the monorail resorts. 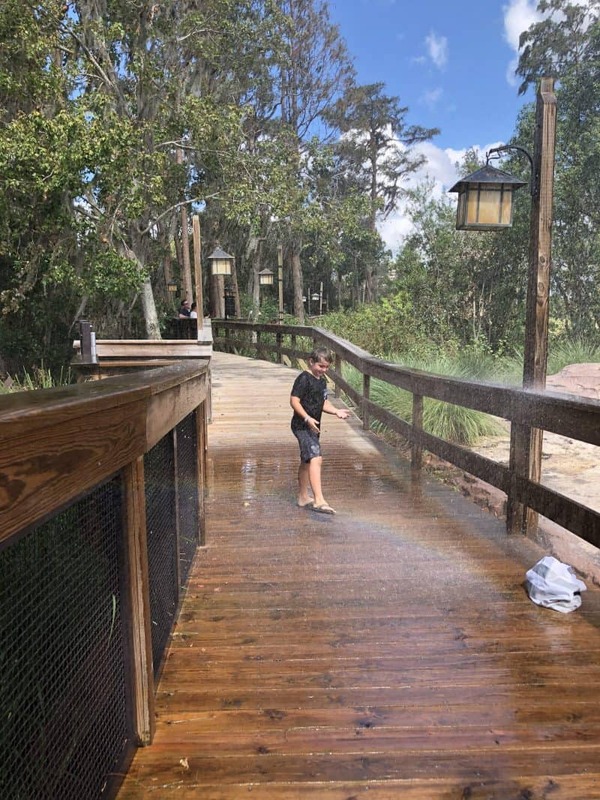 John is already quite the Disney buff and was so excited to get a few glimpses of the abandoned River Country and also take a peek of the shoe tree up close! 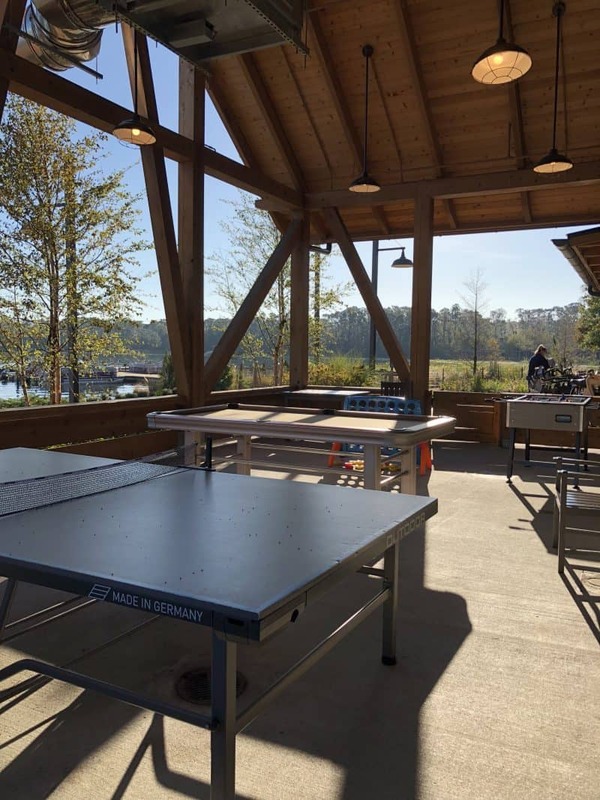 In a covered pavilion off of Geyser Point you fill find ping pong, pool, giant connect four, corn hole and more. Simply ask for the balls at the recreation window. 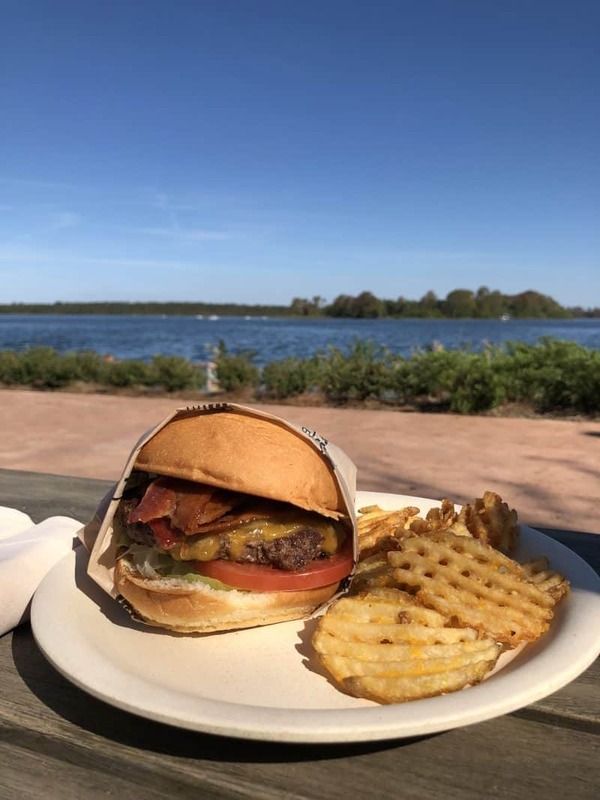 Honey and I had a lovely lunch overlooking Bay Lake while the boys popped over here for games between bites of food. 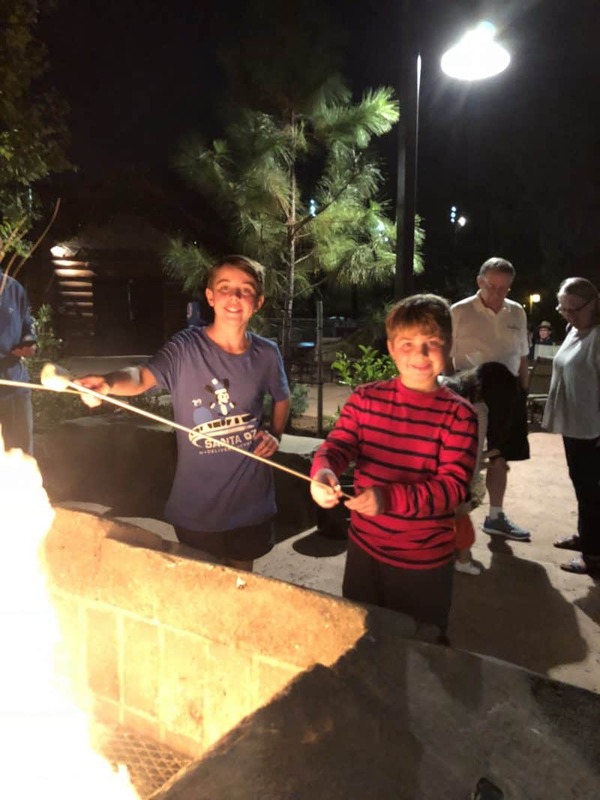 Each evening the resort shows a movie under the stars and lights up the fire pits for s’mores. 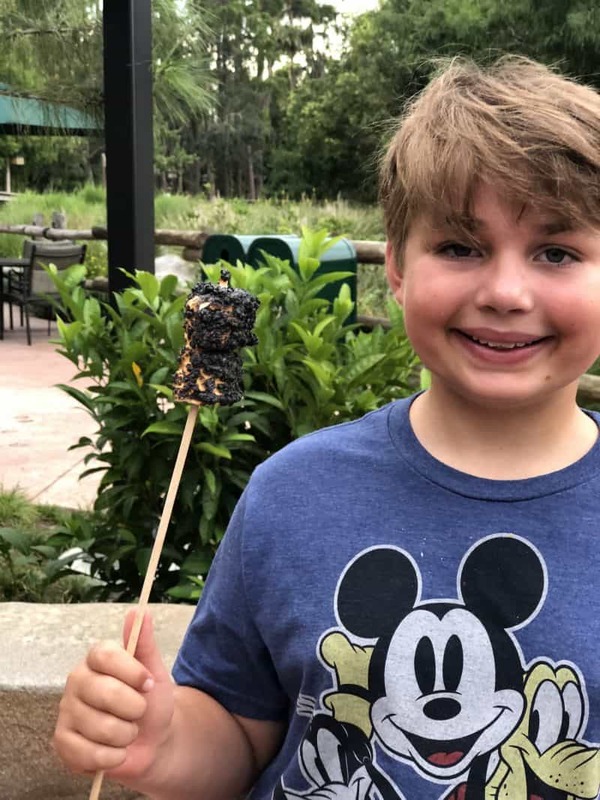 They provide sticks and marshmallows and you can purchase kids for s’mores at the quick serve window next to Geyser Point. I believe they are $10 and have stuff for about 4 s’mores. 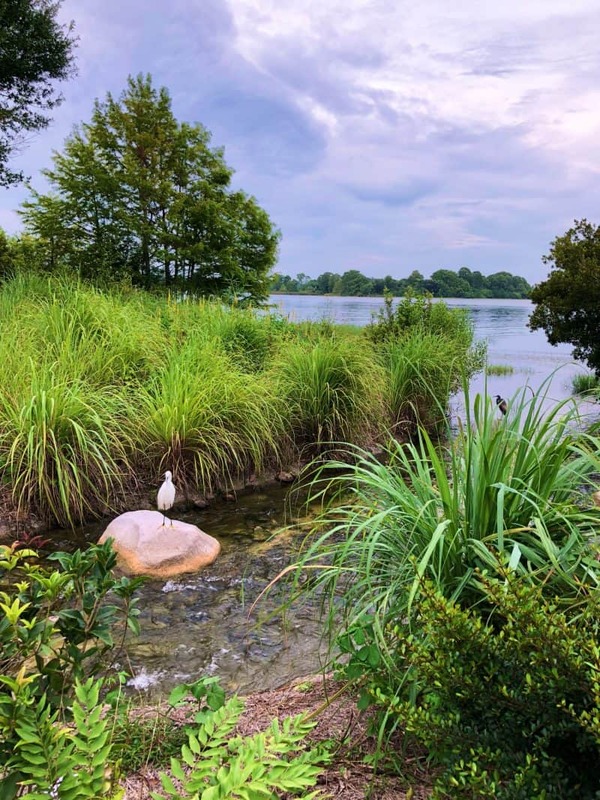 Jogging Trails – Take a quick jaunt down the .75-mile shaded trail that leads to Disney’s Fort Wilderness Resort & Campground or take your time wandering the 2.5-mile pathway throughout the resort’s grounds. Buttons and Bells Arcade – Delight in both classic and contemporary arcade games. 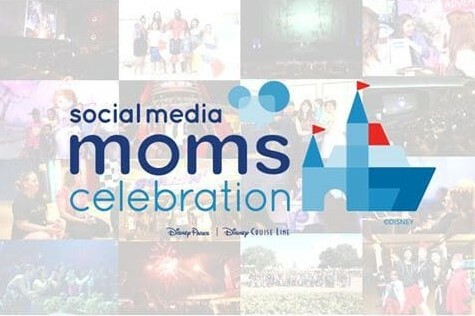 Now, I know I will get questions about Disney Vacation Club. 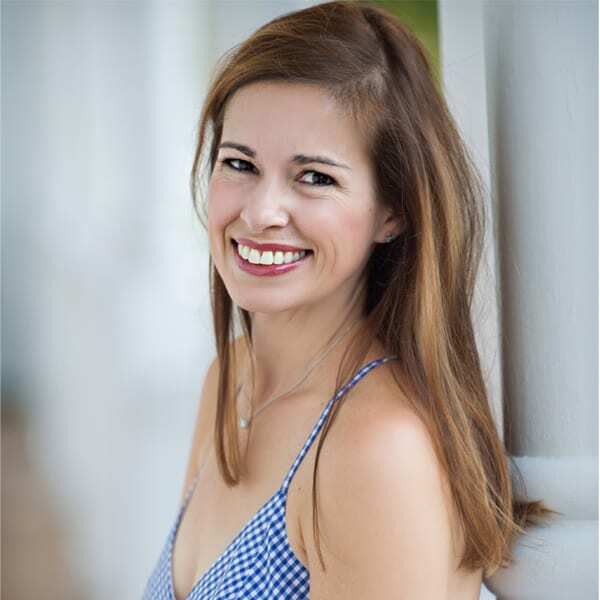 I have hemmed and hawed over writing my own post because there are already so many out there that I’m not sure what more I could really add to the equation. 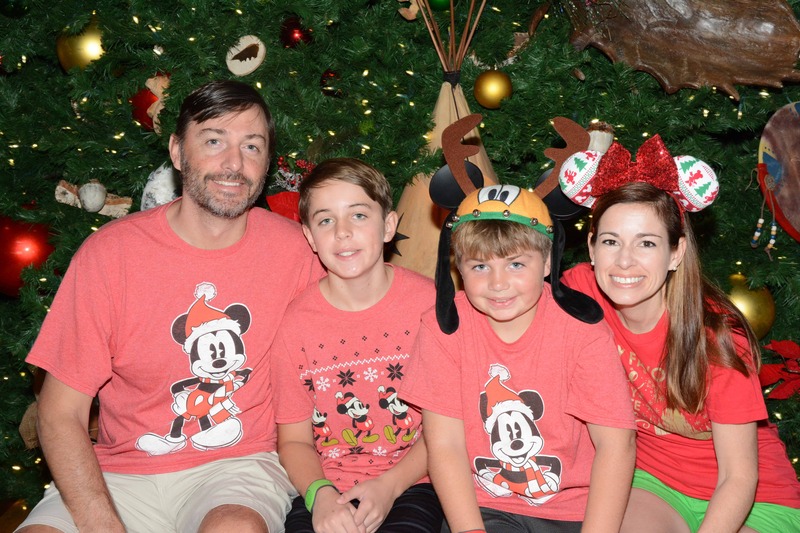 Essentially, Disney Vacation Club is Disney’s version of a time share. 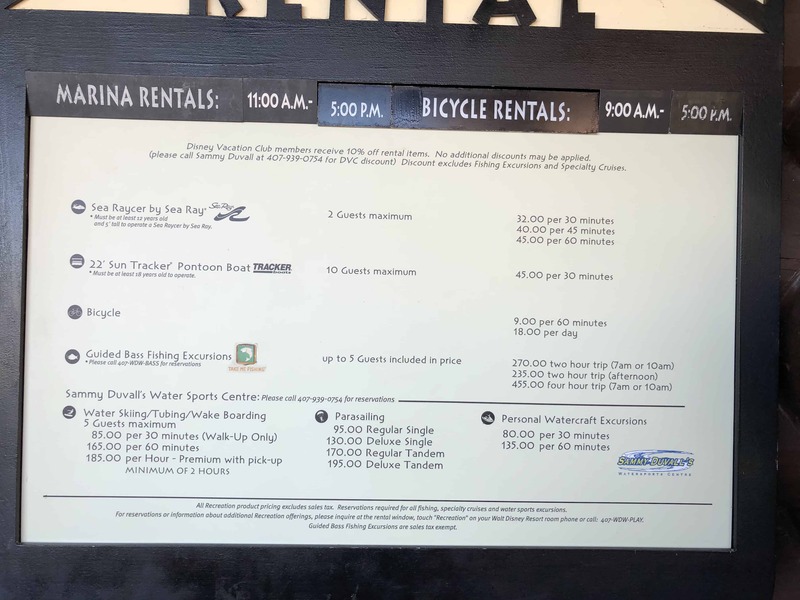 You purchase a number of points at a “home resort” (current options are Copper Creek, Polynesian and Aulani). These points can be used any time during the year at any resort for any type of accommodation. Of course, some take a lot more points than others. If you have specific questions, please email me and I will help however I can! 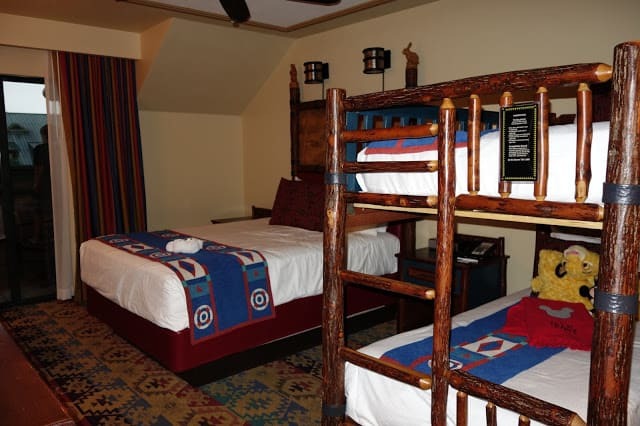 That being said, you do not have to be a Disney Vacation Club member to enjoy these beautiful accommodations! 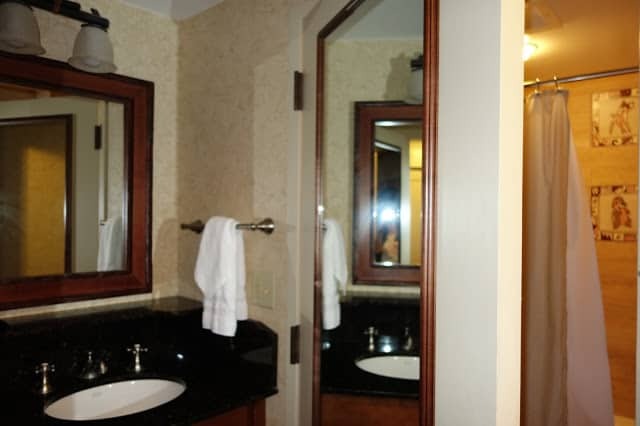 They are available to the general public for booking, just like a regular hotel room. I don’t think many people realize this. 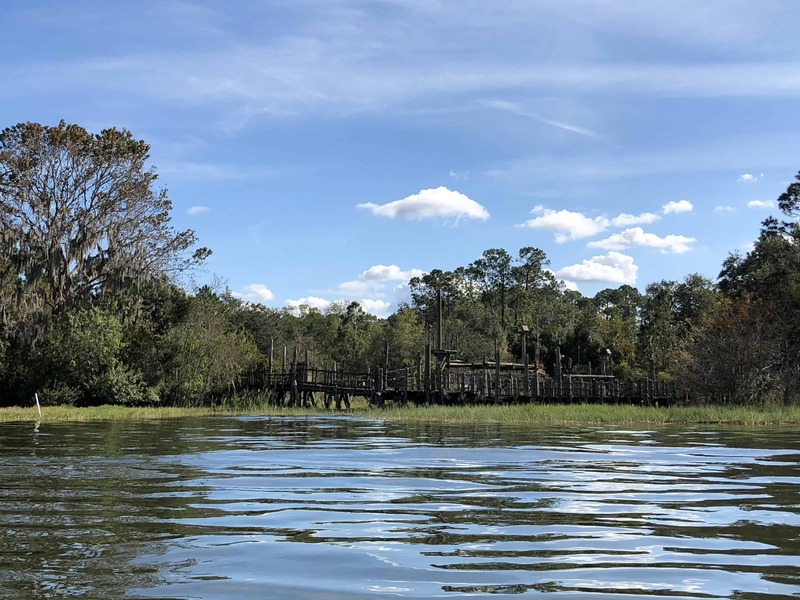 Before I go, I also want to share that one of our favorite things about Wilderness Lodge is taking the boat over to Magic Kingdom. It is such a peaceful way to arrive and depart. The other parks are accessible by bus, but Wilderness Lodge is a fabulous choice for families that will spend the majority of their time at Magic Kingdom and dining at the monorail resorts (Chef Mickey’s, Ohana, Park Fare, etc.). 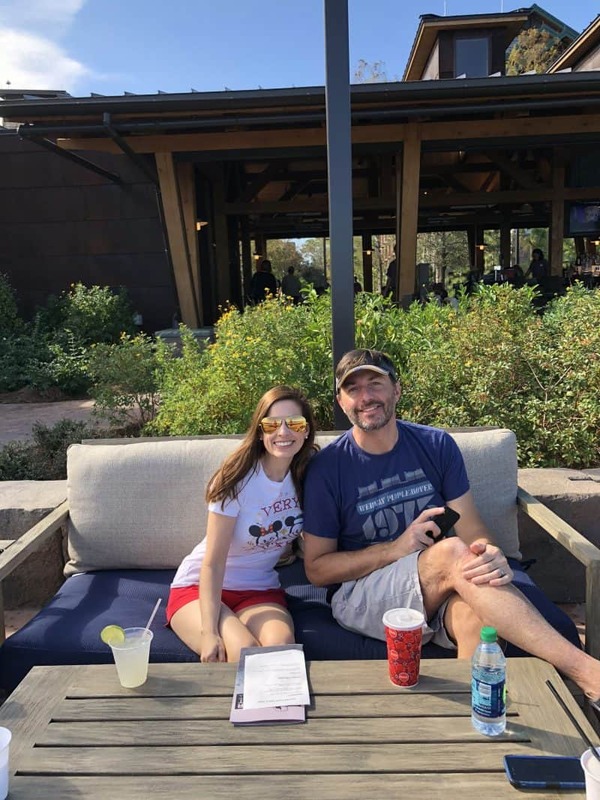 We love Wilderness Lodge and will definitely stay here again!! 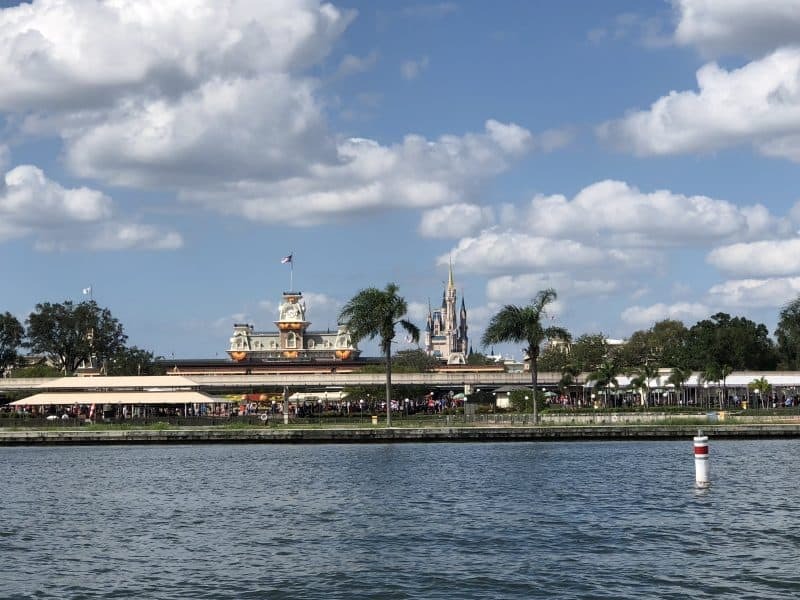 I find that it is almost always one of the most affordable deluxe resorts and you can’t beat that along with the great theming, activities, dining and proximity to Magic Kingdom. It also has one of the more affordable club level room options as well. 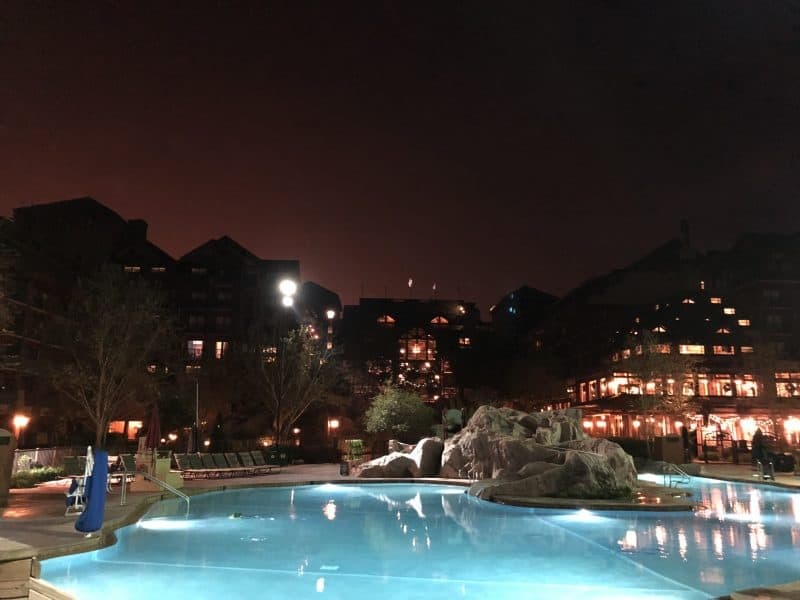 I love all your beautifully written posts about your Disney trips but I am very thankful for the safety and caution tips that you post. 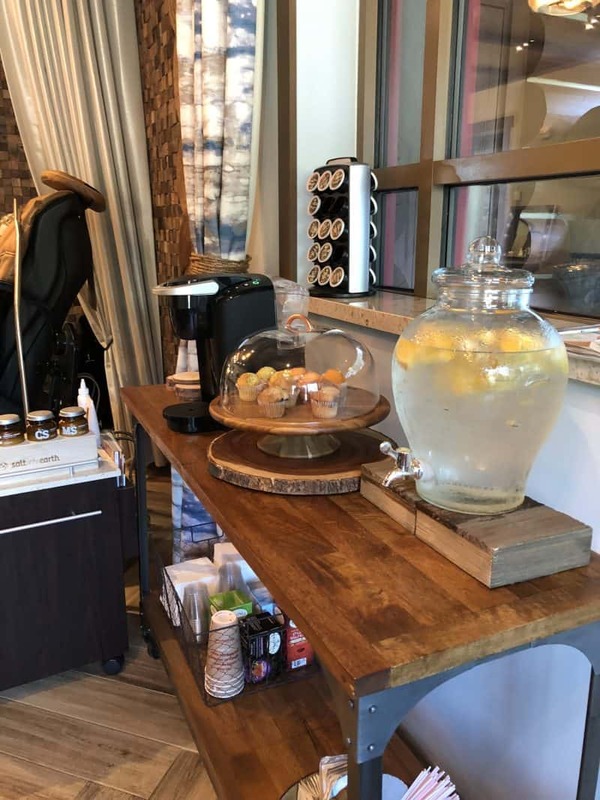 You just always seem to think of every detail and it makes a difference when I am making a decision on where to stay, where to eat and what to do…. 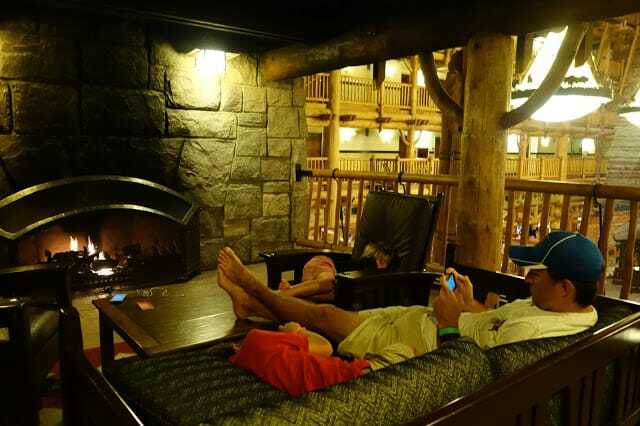 Great review of Wilderness Lodge. We stayed there years ago but haven't been back since the pool renovation. I too loved the boat ride. It looks like you had a great trip! 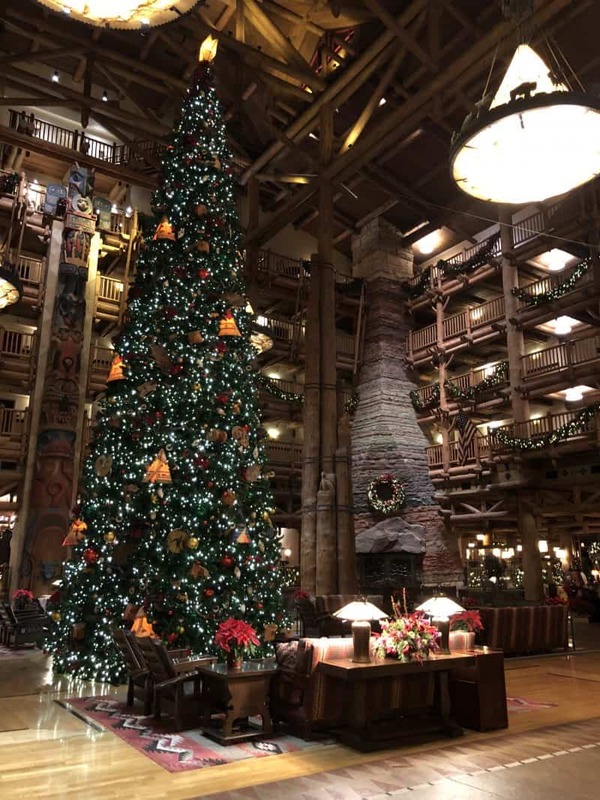 Wilderness Lodge looks so beautiful! We're trying to stay at every resort and this one is at the top of my honey's list of places to stay soon and AKL is at the top of mine! I love your tip about not paying for a Deluxe resort if you don't plan on downtime. I just love your Disney recaps. 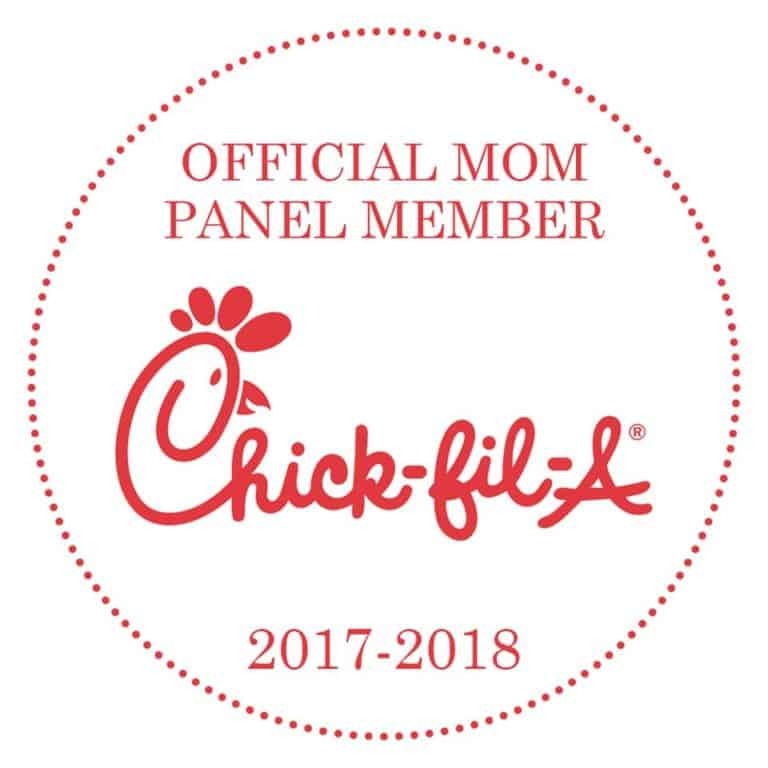 It's really changed my mind from thinking it was so silly when I heard adults talking about going there on their own to realizing what amazing entertainment there is for people of all ages! WL is where my husband and kids are wanting to stay on our next trip. 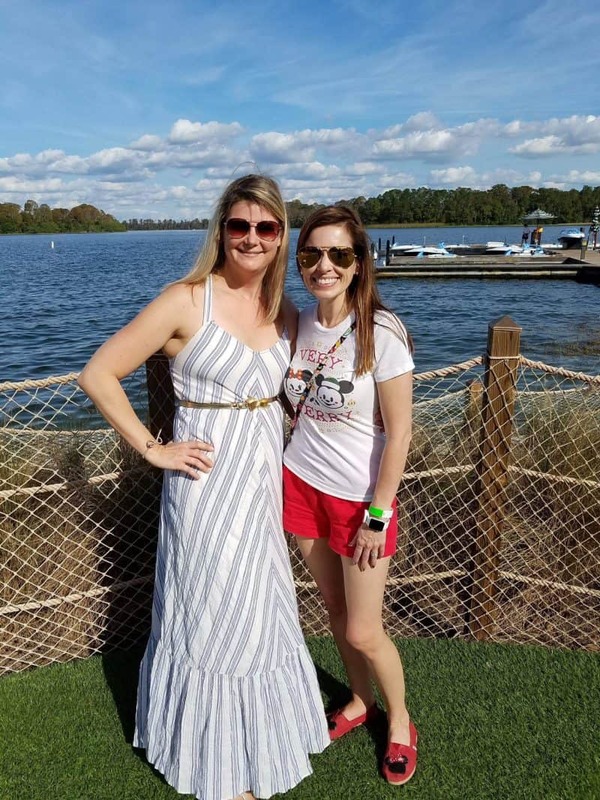 I am actually a Disney TA on the side (I do have a 'real job' but I love making people's disney dreams come true), so we try to stay somewhere different pretty much every time we go so I have more info about each resort. 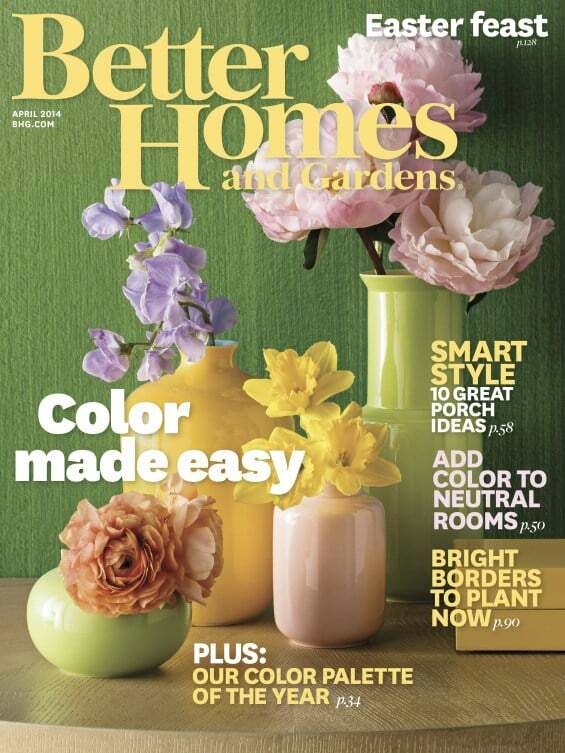 Loved the review and pics. 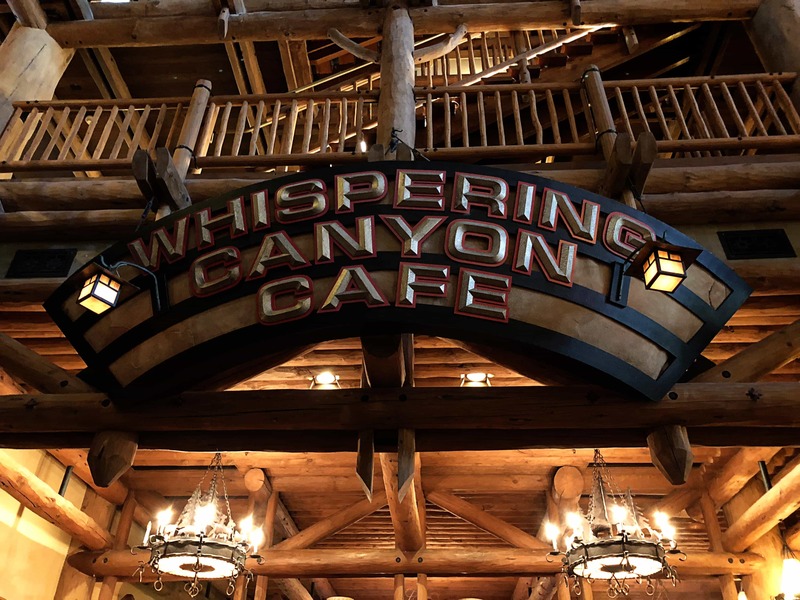 Whispering Canyon is one of our favorite table service restaurants. 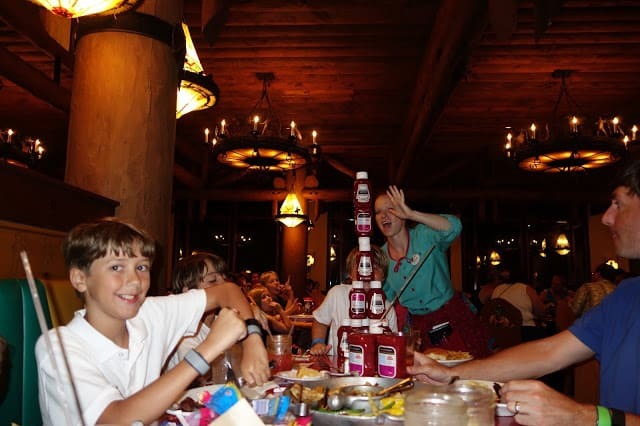 Fortunately, we have never ran out of ketchup when we ate there! LOL! 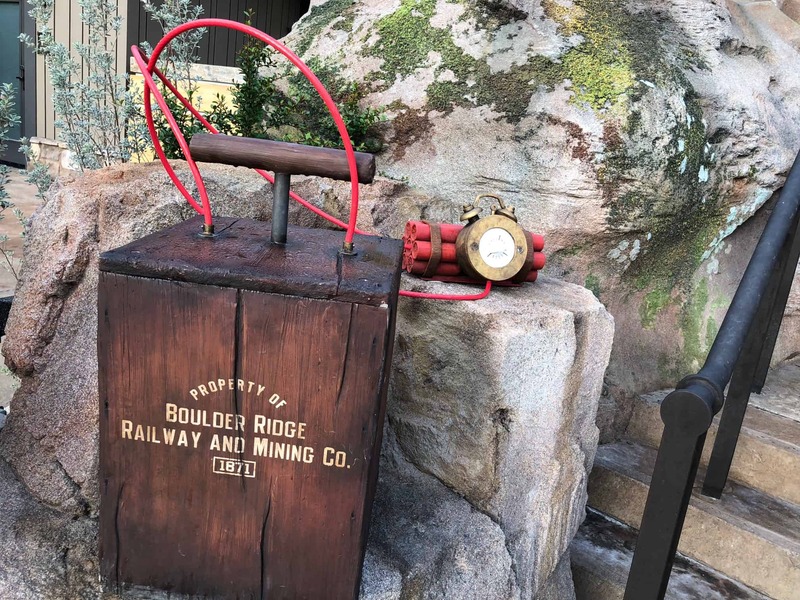 Will you be re-purchasing your season passes? What are the perks? We probably will down the road but are thinking we will take a year or so off. It made sense based on the timing of our trips this year over buying a few 1-2 day tickets at a time. You do get a 10% discount on merchandise and some dining with it. We did it solely for the money savings. 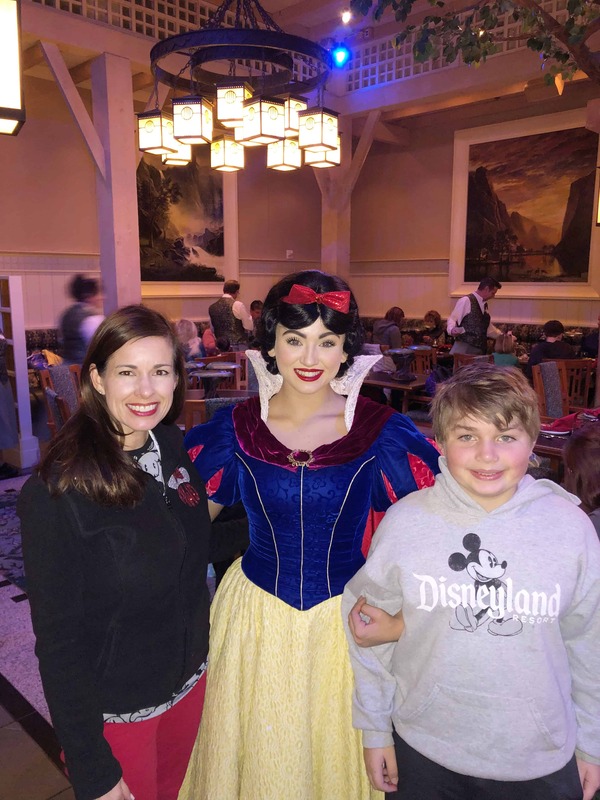 Any advice for a place that would accommodate an 11 year old's wishes for a "fancy" hotel in disney? I was thinking the Polynesian or Contemporary…Grand Floridian if we could swing it! 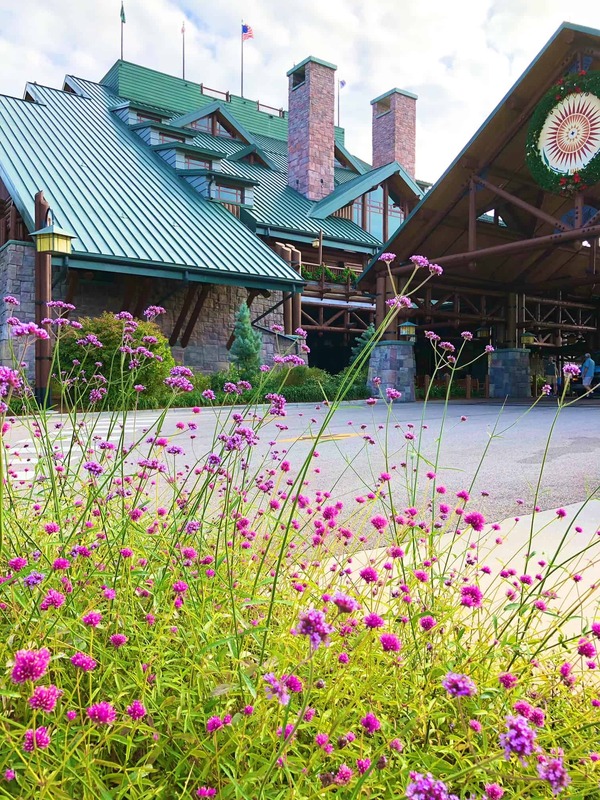 Something on the less rustic side but with great food and amenities. Thanks! LOVE your blog! Great write up! I love WL and seeing your pics brought back many fun memories. We loved it there so much, I'd have a hard time going somewhere else! Especially since they offer bunks….a big plus in my book! Glad y'all had so much fun!! I have enjoyed your trip recap. 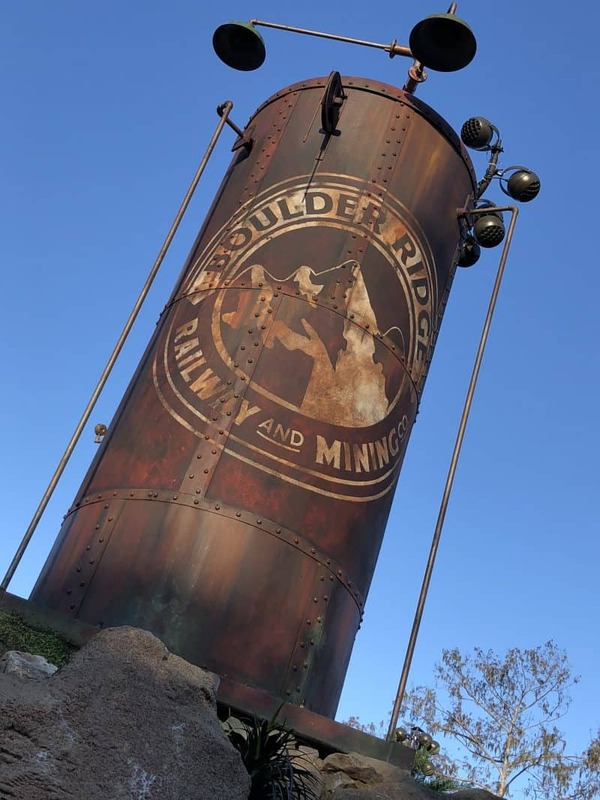 I am a Disney fan and for a while had an annual pass here to Disneyland. 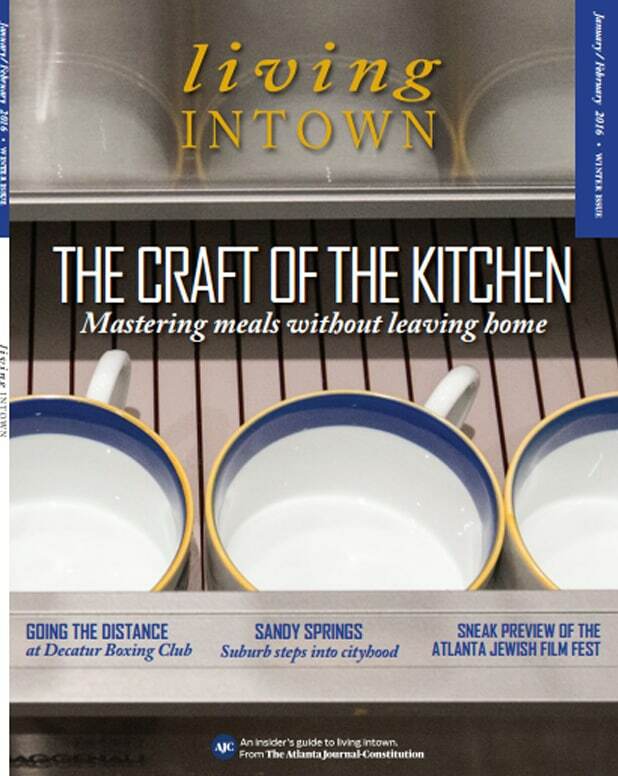 I haven't been to Disney world since it's so far away from here, but I love all the dining and lodging options here. 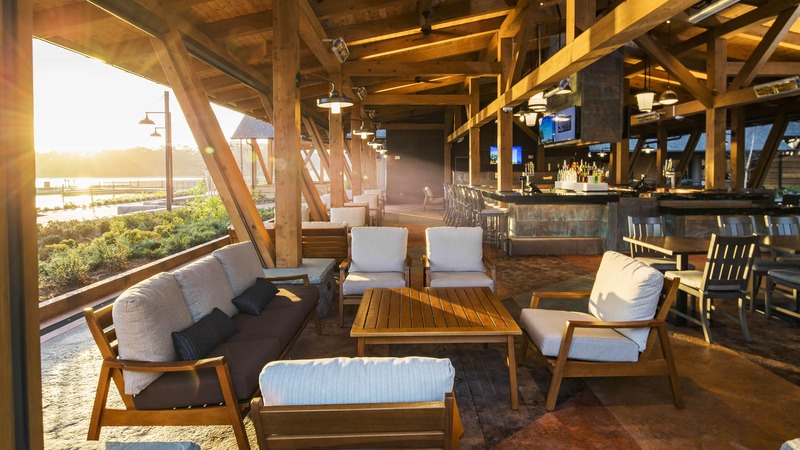 I would want to stay at the animal kingdom lodge. You covered every detail. 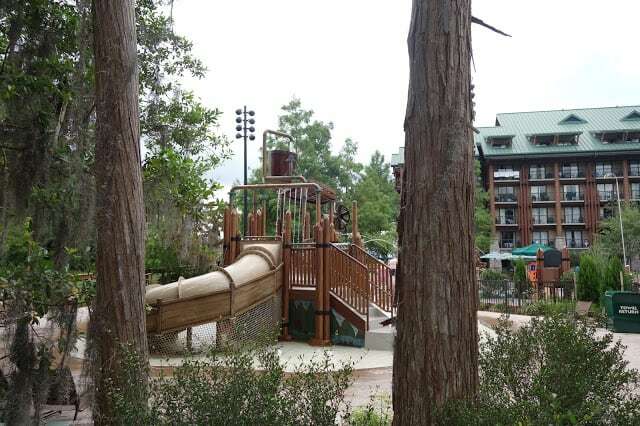 I now even think that the lodge would be a good venue while at Disney! 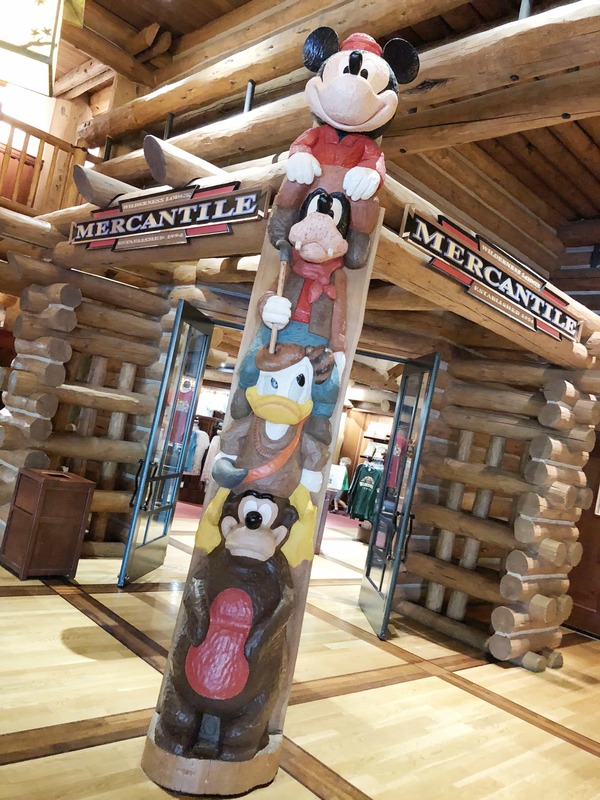 Are you able to book all of the resorts with your DVC membership? We've considered purchasing, and I would be curious to know your thoughts. How many points to purchase, where to buy, etc. Seems like it may be a good value! 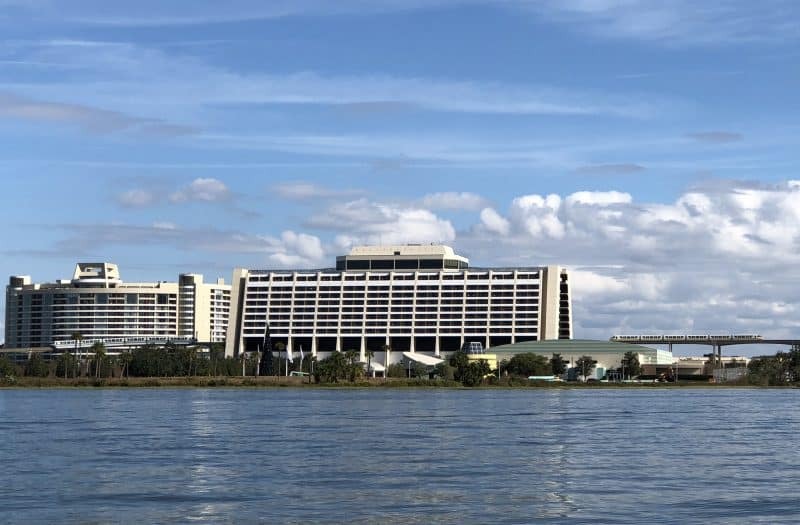 Only the deluxe resorts that have dvc (all but yacht club I think). We are fairly new members abs haven't made a trip yet on points. I will definitely share once we do!!!! 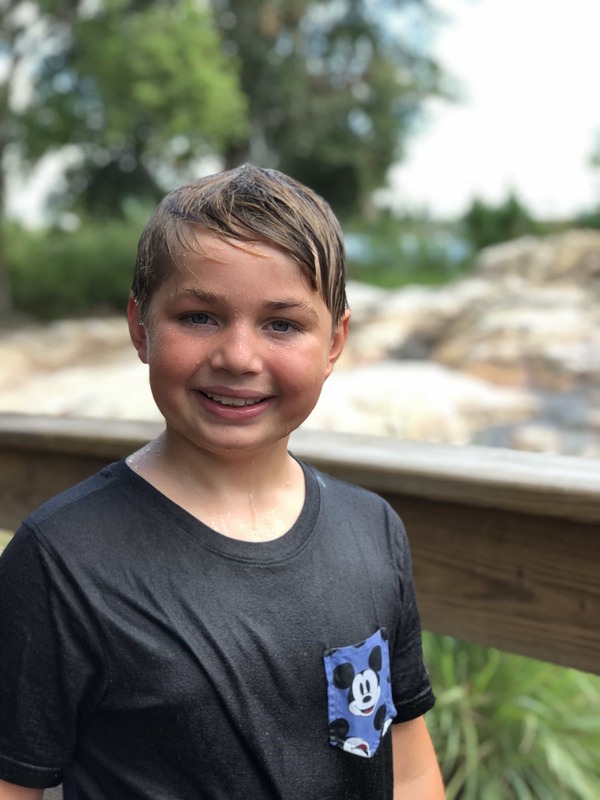 I just wanted to say it was so cool seeing you in "real life" in the Chattahoochee River today tubing with your family! I enjoy your blog! Hi Amanda, you've long been my go to source of all things Disney. 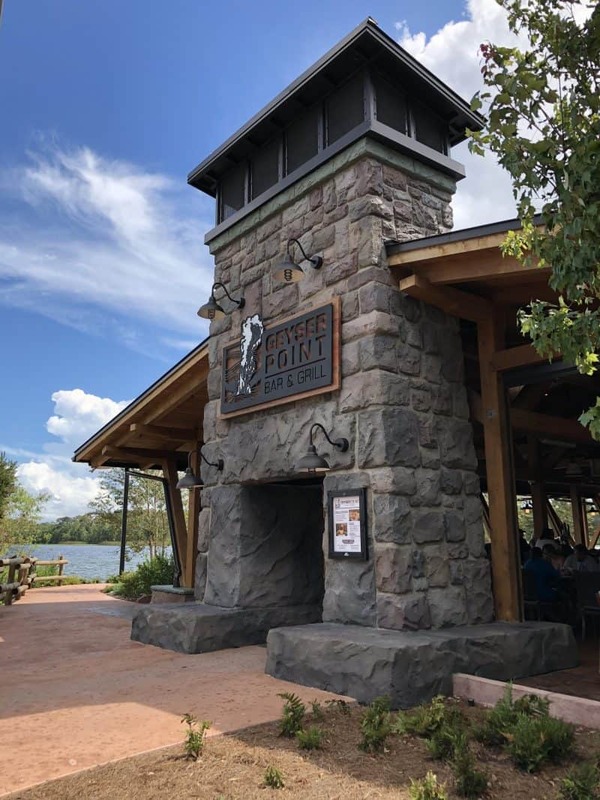 You've helped so much in my cruise planning and will be so helpful in my future family reunion plans for Fort Wilderness Lodge thanks to your recent posts ( including this one). Thanks you. My questions is: I've noticed you are wearing the Disney's Alex and Ani bracelets. My questions for you is do you buy them directly from Disney or their online? I've noticed theirs are considerably more expensive then the regular Alex and Ani. Since your usually one to find a deal (where Disney is concerned) have you found a place for for a better deal. Thank you. I'm so glad! I've only collected the park ones (4 parks, dcl, dvc). A bestie gave me my initial one to round them out. I have a disney visa and bought online when they had 20% off coupons and free shipping.